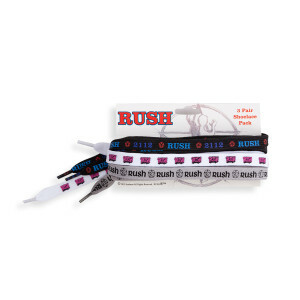 This 3-pack of RUSH shoelaces is a great way to wear your Rush swag. What's even cooler is that this 3-pack comes with three pair of different color laces (white, grey and black). Available in regular and long length.